Hello, lovelies~ I know I've been a tea-kinda-girl, but I have been cheating with its other counterpart lately, lol. Coffee. I have gulping down at least two 6-oz cup every other day, it seems like there's no stopping me. I bought the coffee beans to later grind it myself at home before brewing it. It taste much better compare to pre-ground ones. 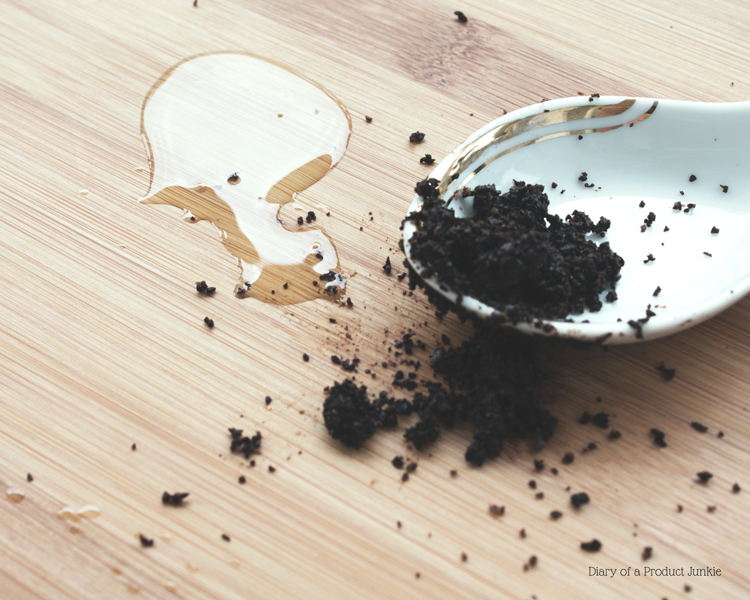 With that being said, the coffee grounds are always there thrown in the rubbish bin. Lately, however, I have been collecting them in a plastic container as to not waste them further. I've even told my brother to keep his coffee grounds in that plastic container, as well. What am I going to do with used coffee grounds, you say? 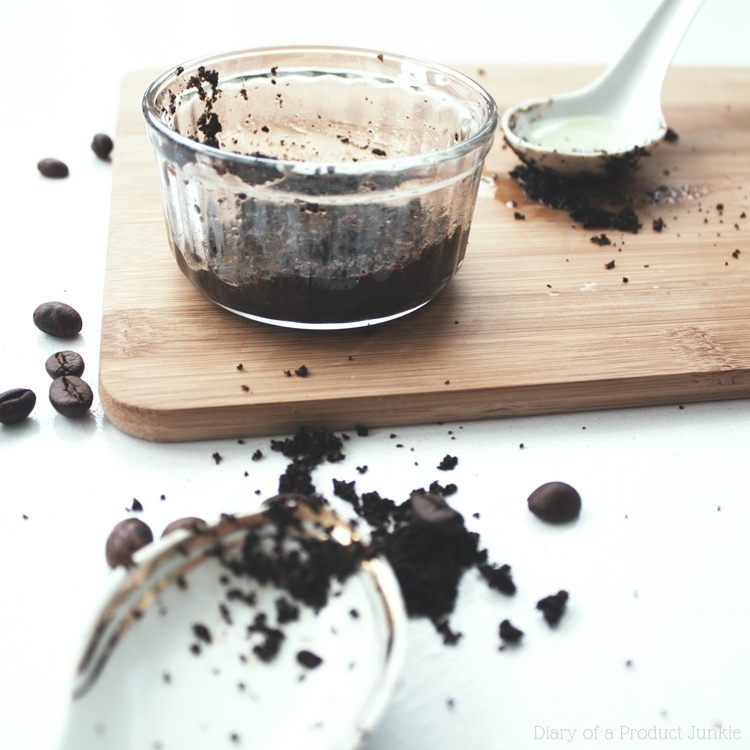 You know those cellulite creams and scrubs that are widely available in the market? The active ingredient is caffeine, in case you didn't notice. 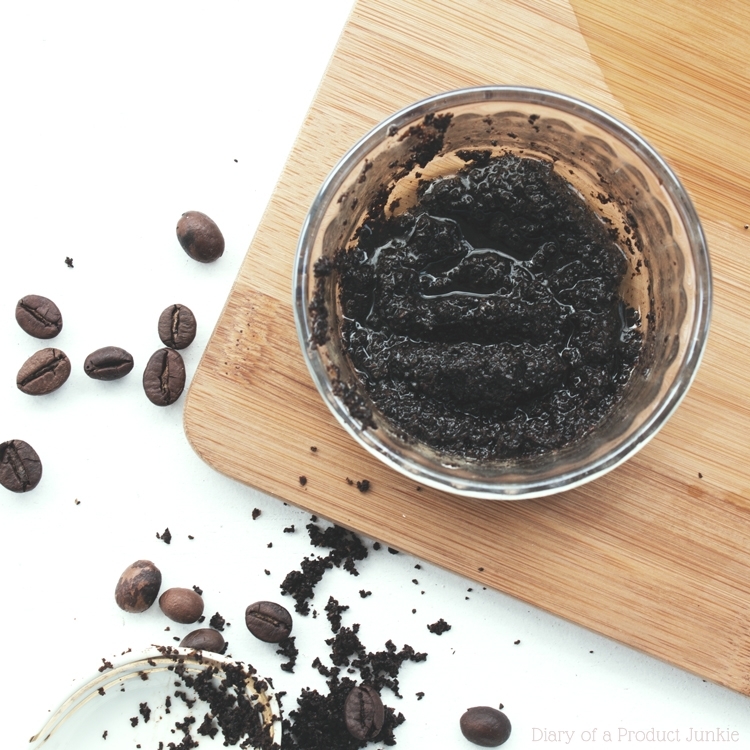 Now, I know that it really hasn't been proven scientifically (in medical journals) that caffeine can help diminish cellulites permanently, but the texture of the coffee grounds are suitable to get rid of dry, flaky skin. Plus, I've read that the effect of the caffeine can hold out to three hours before going back to the skin before it was scrubbed with coffee. Not bad, lah. - enough grape seed oil (or any oil you want). I use oil just to bind the ingredients together, so I don't use too much. 1) Get your ingredients ready in said jar. 3) Enjoy in the shower. Easy, right? I don't use too much oil because I don't like the greasiness on my body. Sometimes, I only use the coffee grounds alone on my thighs. Other times, I just mix it in my shower gel or shower cream. My favorite is to combine it with my Vanilla shower gel and I smell like Cafe Latte after the shower. P.S: Kalo pun ada jurnalnya, yang sponsorin penelitiannya perusahaan yang jual krim selulit, jadi bias.